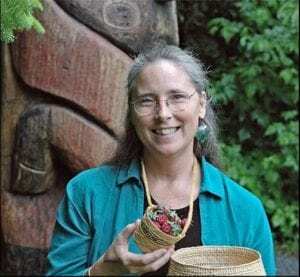 Noted Tlingit weaver Teri Rofkar died in Sitka on December 2. Two years ago she sat down with Erika Apathy — then a college student — to discuss her life growing up in Sitka and in Pelican. Apathy agreed to share the interview with all of us. A celebration of Teri Rofkar’s life is scheduled for 1 PM Sunday December 18 in the Odess Theater.